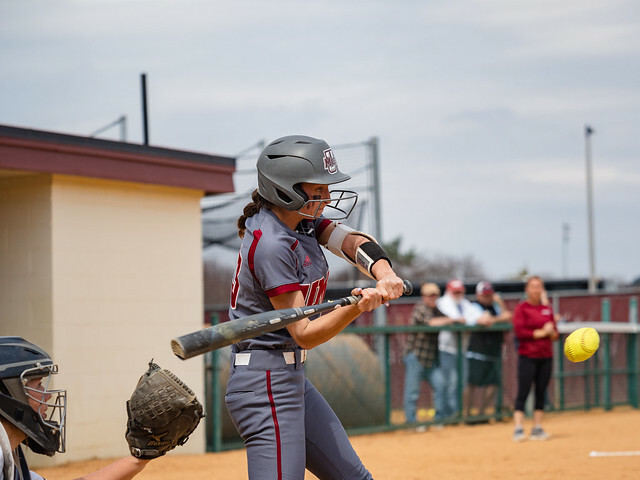 Winners of seven of eight since the start of its Atlantic 10 schedule, the Massachusetts softball team rolls into a non-conference matchup against Central Connecticut State at home Wednesday. The Minutewomen (18-14, 6-1 A-10) pulled above .500 last week with wins over Connecticut and La Salle, while the Blue Devils (13-15) have lost five of seven. Although the game does not impact the conference standings, it is still an opportunity to compete at a high level against good competition, and coach Kristi Stefanoni knows the opportunity should not be wasted. The UMass bats will be tasked with trying to solve CCSU pitchers Carley Stoker, Ashley Antonazzo or Kari Marks. Stoker is the most likely candidate after earning a midweek start the past two weeks, while both Stoker and Antonazzo have started 11 games and have an ERA slightly over four. Antonazzo, a sophomore, delivered her best outing of the year when the Blue Devils competed against another A-10 school, St. Bonaventure. CCSU defeated the Bonnies 9-0 in five innings. UMass will also look to get off to a hot start, which is something that has alluded them in some of their recent matchups. Against La Salle on Sunday, the Minutewomen fell behind 2-0 after the first three innings before the offense came alive to secure the win. While Stefanoni said the late-inning rallies show a lot about her team’s heart and determination, the Minutewomen hope to avoid early deficits. Slow starts could pose a challenge in reaching UMass’ final goal of winning an A-10 title, and it will look to change that tendency on Wednesday. The early rallies may start and end with Jackie Kelley. Kelley has batted all over Stefanoni’s lineup but has found herself leading off since the start of A-10 play back on March 31. She’ll look to get on base so the big bats of Erin Stacevicz, Kaitlyn Stavinoha and Kaycee Carbone can drive her home. Kelley knows just how vital the first batter in the lineup can be. UMass will look to earn its 19th win on Wednesday at 4 p.m.